Right back into it in the swing of the New Year! There’s been a lot going on in the industry this month – especially around quality, after a few more saddening incidents in the industry and the release of another report on Oakden Nursing Home! 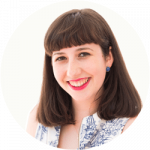 Other big ticket items this month – the draft of the Aged Care Quality Standards have been released and we’re running a bit low on respite beds! The Australian Aged Care Quality Agency (AACQA) will be overhauled following a series of quality issues highlighted last year, in particular the Oakden Nursing Home scandal which triggered several reviews into quality of care in the industry. The overhaul of AACQA was recommended in the Carnell-Paterson Report in favour of an independent Aged Care Quality and Safety Commission ‘to centralise accreditation, compliance and complaints handling.’ The hope is that a new body will provide more transparency to the public on quality issues. The Independent Commissioner Against Corruption (ICAC) has also released their report this month on the Oakden scandal titled ‘Oakden, A Shameful Chapter in South Australia’s History’. The release of this report comes following another distressing Aged Care issue at an Aged Care Facility in Queensland where five deaths have been ruled suspicious and are being investigated by the Queensland Health Ombudsman. We believe that Aged Care providers strive to provide the care, dignity and quality of life that older Australians deserve, so these articles and reports of quality issues are not representative of the industry. But we’re glad that these issues are generating more meaningful conversations about quality care and how it can best be provided to older Australians! The ICAC Report can be found here. You can read more about the issue at the Aged Care Facility in Queensland here and the response from Aged Care Minister Ken Wyatt here. Draft of the Aged Care Quality Standards Released! The draft of the Aged Care Quality Standards has been released for review and consultation with the industry! It has a planned implementation date of the 1st of July 2018 (once it passes the legislative process) with a transitional period until the 1st of July 2019, with the standards coming into full effect then. This means if your Facility is due for accreditation in August 2018, the current standards will be applied to you rather than the new draft standards. These new standards are replacing the four sets of standards that are currently in effect. Each service Provider will be required to meet the standards which are relevant to the type of care and services they deliver. For example, Home Care will not have all standards applicable to them as they do provide accommodation to their care recipients. Find the draft standards here. Carers Australia has released a report called ‘Improving access to aged residential respite care’ in which they detail that it is becoming increasingly difficult to access aged residential respite care and demand is very high. 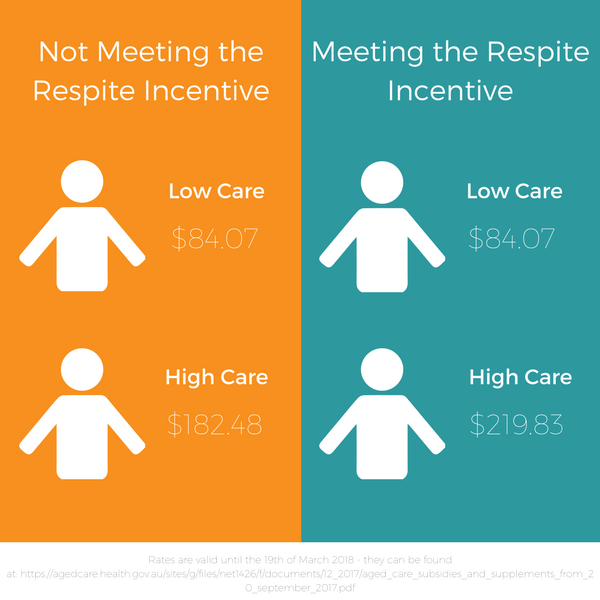 They suggest changes to incentives for Residential Care Providers to take on more respite residents including options to increase subsidies, health professionals assessing care needs prior to entering planned respite, and other ways to offer compensation for respite residents. So if your occupancy is running low then why not consider admitting a respite resident. Here’s what you can get from the Commonwealth for a respite Resident staying in your care per day. If someone needs respite it’s also a great opportunity for them to test out your Facility should they need Residential Care later down the track. Not only are you helping someone access emergency or planned respite care, you’re also spreading word of mouth about your business. Think of it as a dress rehearsal! If you need more information about your Respite Incentive and how it works, sign up for MyVitals or contact our team to learn more! If you’re interested in finding more about improving access to respite find the report here. That’s it for now, check back in next month to see what happens next!